Understanding PHYSICS just got a whole lot EASIER! Stumped trying to make sense of physics? Here's your solution. 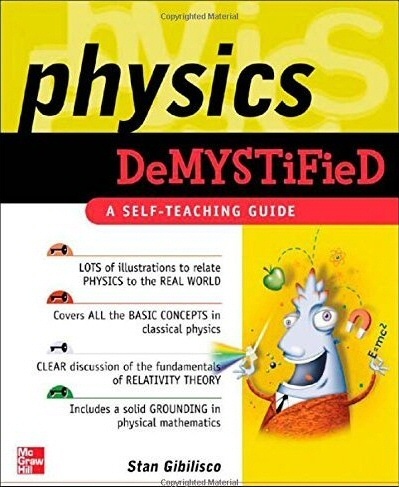 Physics Demystified, Second Edition helps you grasp the essential concepts with ease. Written in a step-by-step format, this practical guide begins by covering classical physics, including mass, force, motion, momentum, work, energy, and power, as well as the temperature and states of matter. Electricity, magnetism, and electronics are discussed as are waves, particles, space, and time. Detailed examples, concise explanations, and worked problems make it easy to understand the material, and end-of-chapter quizzes and a final exam help reinforce learning. Simple enough for a beginner, but detailed enough for an advanced student, Physics Demystified, Second Edition helps you master this challenging and diverse subject. It's also the perfect resource to prepare you for higher-level physics classes and college placement tests.